Who Insures the Top Workers’ Comp Law Firms for Comp? Can you learn anything about workers’ compensation insurance from some of the best law firms representing injured workers? It’s hard to say. How law firms get comp insurance is usually based more on their insurance brokers than it is an active selection of insurers based on their experience representing injured workers. Some of the top workers’ comp law firms in Maryland – and who insures those firms for workers’ compensation for their own employees – are listed below. John M. Hall is the comp attorney at one of the most active workers’ comp law firms representing injured workers in Maryland. His firm is insured by Confidential Casualty Co. The Law Offices of Mitchell M. Gordon is insured for workers’ comp by State Farm Fire and Casualty Co.
Berman, Sobin, Gross, Feldman & Darby, LLP, with offices in Gaithersberg and Towson, is insured by Valley Forge Insurance Co.
Antezana & Antezana, LLC., is insured by Foremost Insurance Co., of Grand Rapids, Michigan. ChasenBoscolo Injury Lawyers, who has three offices, is insured for workers’ compensation by Hanover Insurance Co.
Goodman, Meagher & Enoch, LLP., a Baltimore workers’ compensation firm, is insured by Trumbill Insurance Co.
Ezrine, Castro & Stavisky, P.A. are insured by Hartford Underwriters Insurance. The Law Offices of Anne Hoke, LLC., with an office in Baltimore in the same building as the Workers’ Compensation Commission is insured for comp by Maryland’s largest workers’ compensation insurer, Chesapeake Employers Insurance Company. Three of the top workers’ compensation law firms are insured for comp by the Hartford. Does this mean insurance company Hartford is the best for workers’ compensation? No, not necessarily. It might mean it’s popular among small employers. It might mean nothing at all. 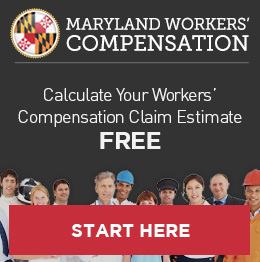 It is somewhat interesting to this author that leading insurer in the state, Chesapeake (formerly IWIF), only insures one of Maryland top workers’ compensation firms for injured workers. 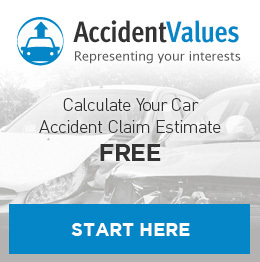 All firms listed above are well versed in workers’ compensation. The author of this post is Byron B. Warnken, owner of Baltimore workers’ comp law firm Warnken, LLC, listed above. Peter Angelos Still Works Cases? Would $650,000 be enough for you to get cerebral palsy?